Every November, I make time to look at our business and ask the challenging question: “What’s not working and needs to be improved?” Then, I get to work on the following year’s business plan, as I was groomed to do in my corporate days. This year the process was more apropos than ever. As the CEO of two businesses, I had a challenging year. My mom getting sick, followed by me getting sick. It was difficult to be fully engaged in everything that needed my attention. Fortunately, I have a great team in place to help me “get by”. “Getting by” for a while won’t help us grow and scale, but it did open my eyes quickly on what needed to change as I realized we could improve upon our company’s culture, business offerings and infrastructure. That’s why I prefer the word “shift”. Shifting, in my definition, is about evolving and morphing to the next level. Now before I could make our shifting plans, I realized I needed to do some sifting first. Yes, sifting before shifting. One day I woke up and the phrase came to me “It’s time to sift.” Not sure why. It’s not a word I use often. I don’t really bake. The image of an old-fashioned sifter appeared in my mind. As a child, my mother attempted to teach me some things in the kitchen and I was always fascinated with the sifter. I loved squeezing the handle to finely funnel what was most needed in the recipe, while discarding everything else. I could play with that thing all day. What Is Sifting (in baking terms)? Why You Would Sift (in baking terms)? And sifting is exactly what needs to happen before moving on to the next step (shifting) in a business. Team/Employees – Does everyone combine and collaborate well? If you have consistently negative people who push back for the sake of being right or fulfilling their own agendas, eliminate the bugs that can ruin the batter. Review strengths and weaknesses of team members and re-organize roles … and be prepared for possible attrition. Teach people how to be agile and adaptive while empowering innovation. If you haven’t already, set standards of expectations. And if you are in need of culture shifting or considering merging, have a recipe in mind to help blend the styles and flavors of new and old. Processes & Infrastructure – What isn’t working? If you don’t know, or even if you think you do, ask your team. You might be surprised at what they tell you! Constant technology problems? Address and fix them. Confusion on who’s in charge of what? Redefine roles and communicate. If you’re feeling any frustration at all, it’s likely there are challenges that can be turned into opportunities. Customers, Products, Services, Sales & Marketing – Are sales down? Are your products what the market needs? Now, is the time to ask your customers! Could it be because your marketing message is unclear or maybe because your customers’ needs have changed? Analyze and measure results to create ideas for growing revenue. Eliminate what doesn’t work, including certain services and products. Change your messaging if it’s out of alignment with your company’s mission and core values. Make hard decisions. AFTER THE SIFTING … START THE SHIFTING! This is a great time to be working through these processes. As you talk to your team members, take time to thank them for their efforts. As you talk to your customers and vendors thank them for their loyalty. Have loyal cheerleaders who are always talking you up to their friends? Let them know how much you appreciate them. Plan and organize how you will move forward so that you can be baking recipes for success in the new year. Ready to produce your 2017 Cook Book that includes the best recipes for success in team development, fantastic customer experiences and company culture? Let’s talk. Call us at 843-597-6393. When you pivot, the team keeps playing! P.S. Need some inspiration from modern leaders who know how to shift their cultures to success? Listen to The Pivotal Leader podcast, now on iTunes, Stitcher and Google Play Store. 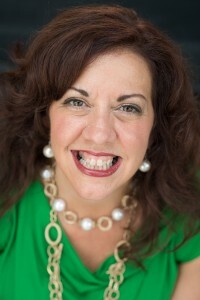 Gina Trimarco, Chief Results Officer, knows how to pivot to profits from problems and find joy through the process. Her philosophy is that performance pays and people need to be trained to perform on the stage of business to achieve results. Gina successfully pivoted from her entertainment company Carolina Improv Company to spinning off Pivot10 Results, a strategic training and consulting firm that helps business teams to quickly adapt their communications and engagement skills in leadership, customer and sales to achieve results by providing them experiential learning tools and strategies. WHY SHOULD ANYONE WORK FOR YOU? IT STARTS WITH YOUR “WHY”! Why would you only leverage the Sales Department to grow business? Build a Selling Organization. Interested in having us speak at your next event?